.NET Framework is a software framework developed by Microsoft providing language and platform interoperability for the program code using the FCL (Framework Class Library) and CLR (Common Language Runtime) technologies. PIXI3 is working with .NET Core, .NET Standard and classic .NET framework implementations on a variety of platforms (including mobile via Xamarin). C# (C Sharp) is ISO/IEC and ECMA standardized multi-paradigm programming language running on top of .NET platform. It is industry-acclaimed, modern, object-oriented programming language that can reliably do variety of tasks on multiple devices. Along with Java it is often a platform of choice for large corporations and companies with sophisticated IS infrastructure. PIXI3 can offer its expertise in developing wide range of C#/.NET applications starting with basic Windows Forms apps to ASP.NET MVC web applications, WCF and web services, distributed computing systems and applications for mobile devices. ASP.NET MVC and ASP.NET MVC Core are popular frameworks for implementing powerful yet lightweight web solutions using C# and Entity Framework. 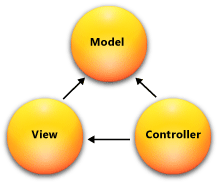 MVC stands for Model, View and Controller and represents software architecture pattern for developing user interface. It is a great technology to create custom web system, backend for the mobile app or web service. It can be easily extended with Kendo UI, ReactJS or Angular. From Content Management Systems, Collaboration Portals and e-commerce solutions like nopCommerce to high-volume transactional systems, or scientific projects, ASP.NET MVC can provide solid backend that can scale and grow along with your business. Artificial Intelligence and Machine Learning allow to design systems that can do much more than originally programmed. 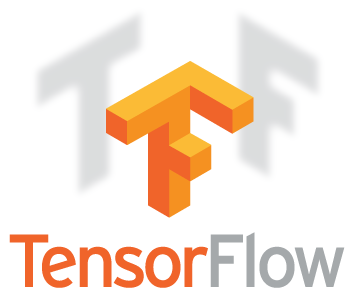 We work with the frameworks like Microsoft Cognitive Toolkit (CNTK), TensorFlow, MXNet, PyTorch. We are also glad to be among the first to adopt new Deep Learning features of Microsoft SQL Server 2017 (which is now also working on Linux). Our engineers design all kinds of Machine Learning applications including Image Recognition, Unsupervised Learning apps, General Adversarial Networks and Natural Language Processing systems allowing you to use custom AI on premise or in the cloud. All that, powered by the modern computational hardware and parallel processing platforms by NVIDIA CUDA or AMD OpenCL. SharePoint is a powerful application framework for enterprise collaboration, document and file management, content management, enterprise search, business intelligence and others. More than 80% of Fortune 500 companies are using SharePoint today. PIXI3 specialists are certified experts in SharePoint technology with experience building state of art solutions for enterprise customers around the world. We have been working with SharePoint since the WSS 2.0, participated in international conferences and special training programs with Microsoft Office development team in Microsoft HQ in Redmond, WA. Our expert’s solutions have been constantly awarded as the best by the European SharePoint community since 2012. PIXI3 offers SharePoint consulting, installation services, performance optimization, system audit, migrations, component development, training and other services. Ruby on Rails is a full-stack web application framework emphasizing usage of such software engineering patterns and paradigms as CoC (convention over configuration), MVC (model view controller), DRY (don’t repeat yourself), Active Record pattern. Ruby on Rails is an amazingly elegant and beautiful framework that is incredibly effective especially for the small companies and startups willing to rapidly prototype or develop the web application of their choice. PIXI3 have developed a range of solutions using Ruby on Rails as a core for the custom-logic business applications, social networks and as a backend for the mobile applications. Azure is Microsoft’s cloud platform providing both IaaS and PaaS thrhtough the collection of intgerated services. It provides virtual machines, compute nodes, data storage, networking and identity/authentication ready for both cloud and hybrid deployments. Azure runs in a growing network of Microsoft datacenters across 13 regions and has a very flexible and increasingly affordable approach to pricing and unparalleled scalability. Ask our satisfied customers if with our experience as a Microsoft Partner PIXI3 might be your best choice to help with your existing infrastructure or Azure migration. Azure can benefit both large corporations or government agencies with existing on-premise infrastructure and small startup companies looking for the platform that can grow and scale well along with the business.